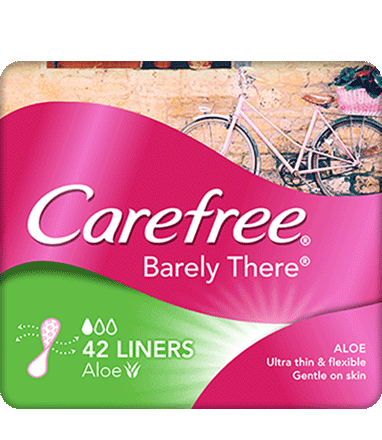 CAREFREE® BARELY THERE® Aloe Liners feel just like the name suggests – barely there! They’re made for the days in-between your period and contain natural Aloe Vera to make them caring and gentle on your skin. They’re really flexible and follow the movements of your body so you’ll hardly notice you’re wearing them.